Hello beauties! 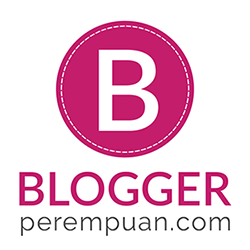 This time I'd like to show you my makeup look inspired by February Indonesian Beauty Blogger Makeup Challenge sponsored by The Saem Indonesia. Please don't forget to vote when it's done ya! 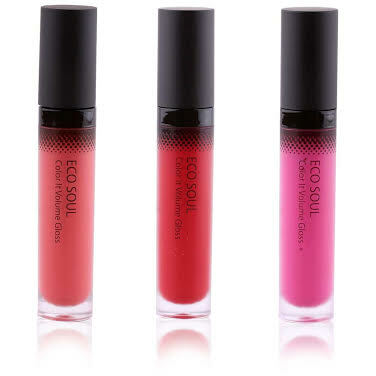 The Saem Indonesia kindly sent me two products; Eco Soul 90 Degrees Mascara and Eco Soul Color It Volume Gloss 04. As for the makeup theme, it's "Flowery Garden" and my interpretation is a daily makeup look which is inspired by the meadow and red tulip flower. So I did my eyeshadow in grass green and copper orange. After applying eyeshadow and eyeliner, I curled my eyelash with Talika Eyelash Curler (a compact one!). 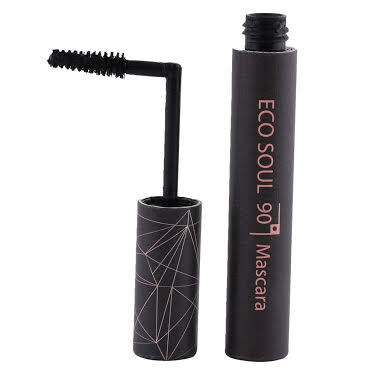 Then, after finished with curling my eyelash, I use The Saem Eco Soul 90 Degrees Mascara! What's so unique from this mascara is that the applicator can bend up to 90 degrees! I was kinda amazed at first and I think this idea is nice. Of course I believe that me and some of the people have a bit trouble when it comes to applying mascara. It's about the angle, lol. As for me, I have to do a lot of weird expression and movement just to avoid the brush touching my eyelid, and bam! Ended up with some mascara stains on my eyelid. And I have to remove it and retouch the eyeshadow again.. Errgh.. Wasting my time. And personally, I don't really bend it 90 degrees every time I use the mascara. Usually I bend it to 45 degrees, it's easier for me. Originally, my eyelashes are already quite thick and long, but it's not curly. So it's kinda bland and boring up there. And what I love is that the mascara curl every single lashes, it doesn't boost my lashes' volume. It lengthens and curls the eyelash; which is a very good news for me! I don't really like volumizing mascara because usually it ends up clumpy. And it's not natural and too much for daily usage. And since it has natural finish, I can safely apply this mascara onto my lower lashes. Mascara done, then I draw my eyebrows. Usually it's not this thick lol. People who knows me in real world knows that I mostly look like I just woke up (ROFL). And after brows, I apply the lipgloss The Saem Eco Soul Color It Volume Gloss in 04 shade. I love the scent, it's rose! So nice and relaxing. I also love the applicator tip, it's flexible and ease the application. The color is perfect for both bright, shocking lips and also natural lips. You just have to adjust the usage. For very vivid colors, I have to apply it like 2-3 coats, but for natural color, I can achieve it only by using 1 light coat of the gloss. And here's the final look (plus blush on and white lower liner)! After looking at above pictures, I decided to redo my hair cause I also want to have this look nice and friendly for daily activities (like first date or office). I redo my hair by blowing it using SHARP Plasmacluster Hair Dryer because it tames my hair and roll my bangs. And here's closer look on the final result of the makeup! Thank you The Saem Indonesia! Wah kenapa ituuuu? Huhu, mungkin karena ga biasa pakai kah? Atau mungkin wangi-wangiannya yang bikin pusing.. In the present time, the shopping experience has been made a lot convenient and simple with the concept of online shopping. These days, it is very much possible to buy household items such as furniture from the comfort of your own homes. The good thing about online shopping is that online furniture site India don't have to travel to different furniture shops and make arrangements to get your purchase delivered.